Philadelphia is a great place to celebrate St. Patrick's Day. The city is home to one of the oldest parades honoring the holiday, there are Irish bars in every neighborhood and Philly has a rich Irish heritage ready to explore. Whether you want to start celebrating the weekend before Thursday, March 17 or will be out-and-about on the holiday, this roundup will guide you to what's happening in the city. Laurel Hill Cemetery invites guests to, "celebrate the 'spirit' of St. Patrick’s Day" in the graveyard. Take a tour to learn about the Irish buried there. Then, enjoy beer and Irish food at the after-tour reception in Laurel Hill’s historic Gatehouse. Hundreds of people flock to Center City each year to join one of the largest St. Patrick's Day bar crawls: the Erin Express. It's a 30-year-old tradition. Hop on a shuttle bus to get to any of the 15 participating bars. The buses run in a loop and should be at each location every 15 minutes between noon and 6 p.m.
No tickets or wristbands are required to join the bar crawl, but attendees must be 21-plus for the all-day drinking event. Expect Miller Lite, Red Bull and Jameson Irish Whiskey specials throughout the day. Those headed on a bar crawl through Manayunk are invited to stop by Spanky's Pub first for "kegs and eggs." Enjoy breakfast and a range of bar specials. Stay through the day for giveaways and no charge on the jukebox. For those in the Philly suburbs, Havertown is hosting its own bar crawl. Head to any of the Irish bars on the crawl for specials. Join a five-mile run or two-mile walk benefitting the Special Olympics Pennsylvania. This will be the event's 31st year and has a goal to raise $40,000 from the event. Bib pick up for the fun run will be on Friday, March 11 at Philadephia Runner’s center city location, 1601 Sansom St., between 10 a.m. and 7 p.m. Participants should arrive at 8 a.m. on race day. Each year, numerous different groups march, dance and perform their way through the streets. Participants always include an array of marching bands, music and Irish dance groups, youth groups and Irish associations. Decorated floats in honor of the patron saint of Ireland also promenade in the parade and compete for awards handed out at the end. 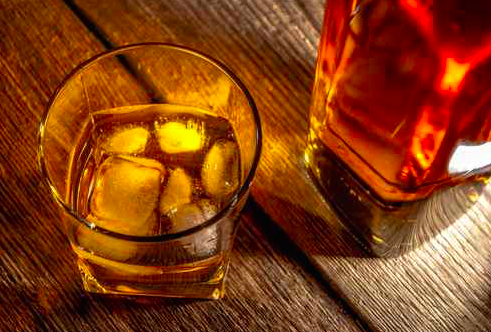 Enjoy a five-course dinner at Fado Irish Pub paired with Jameson Irish Whiskey. A Jameson ambassador will also be on hand to teach about the whiskeys that are being paired with each dish. 7 p.m. to 10pm. | $50 per person. Doors will open at Fado Irish Pub at 8 a.m. for St. Patrick's Day celebrations. Enjoy beer and pancakes to start off the holiday. Live music begins at 2 p.m. and a DJ will play at 11 p.m. A $10 cover fee is required to enter once the live music begins. The bar will open at 7 a.m. to start serving Irish breakfast and Guinness. Live Irish music will start at noon. 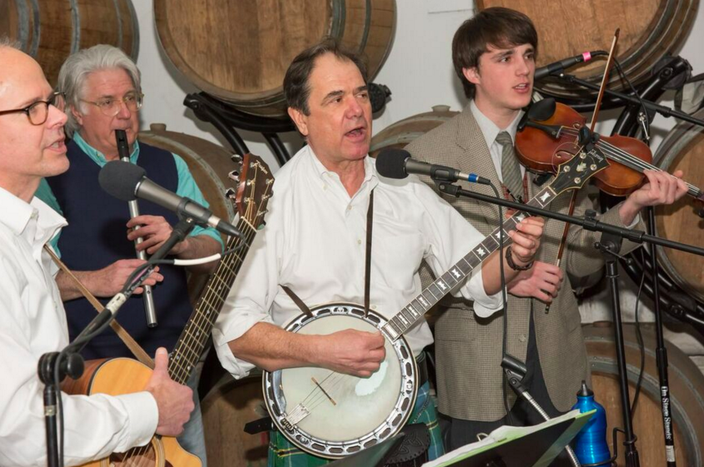 The Boys of County Bucks perform traditional Irish music for St. Patrick's Day. Enjoy the sounds of the fiddle, guitar, banjo, whistles and bodhrán as the group Boys of County Bucks performs traditional Celtic music. Guests can also enjoy wine tastings at Crossing Vineyards and Winery during the event.